Sandton City has a heart of gold and while the centre is proud of being Africa’s ultimate shopping destination, Sandton City always seeks ways to help those for whom just buying a loaf of bread every day is often a struggle. According to Statistics South Africa’s 2014 figures, 23-million South Africans are still living in poverty. 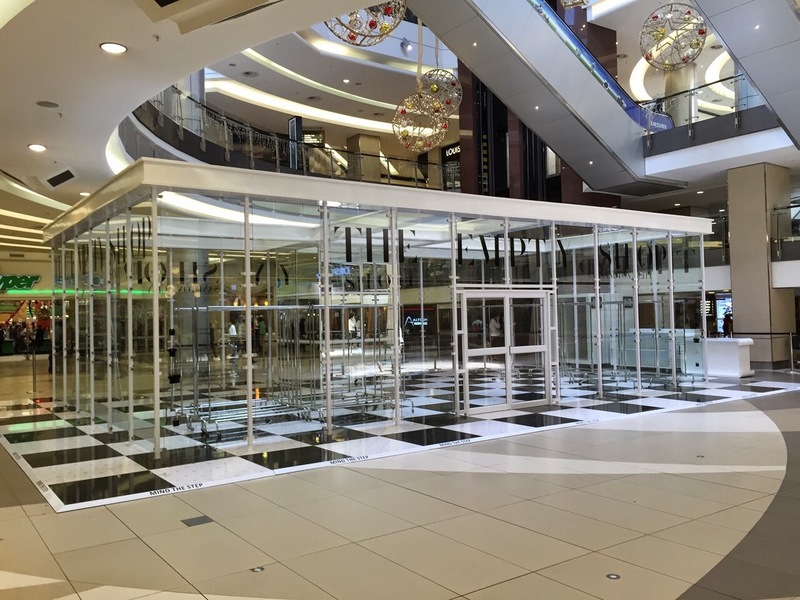 To help combat this reality, Sandton City, in partnership with McCann Johannesburg, is proud to announce the launch of the award-winning global CSI campaign, The Empty Shop. 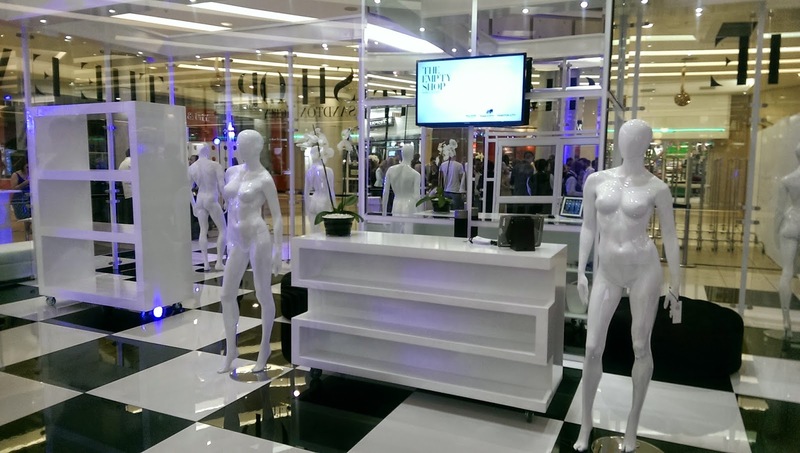 Pioneered in 2013 at VillaLobos Mall, São Paulo, Brazil by Loducca, The Empty Shop has created a unique way of donating, and now it’s finally coming to South Africa. A novel approach to giving to charity, The Empty Shop concept is very simple: donate, style and empty. From the general public to fashion bloggers, stylists and celebrities, everyone is invited to contribute pre-loved clothing, which is then transformed daily on mannequins with show-stopping looks. Not only will people be able to donate alongside famous fashion and personality faces in South Africa, everyone who donates clothing will unite and be part of a new initiative, bringing charity and fashion together! Every evening the store will be emptied and ready to receive new donations the next day. Launched yesterday on Tuesday, 28th October with a media and celebrity presence, The Empty Shop will see the first clothing donations displayed from 29th October to 16th November 2014. 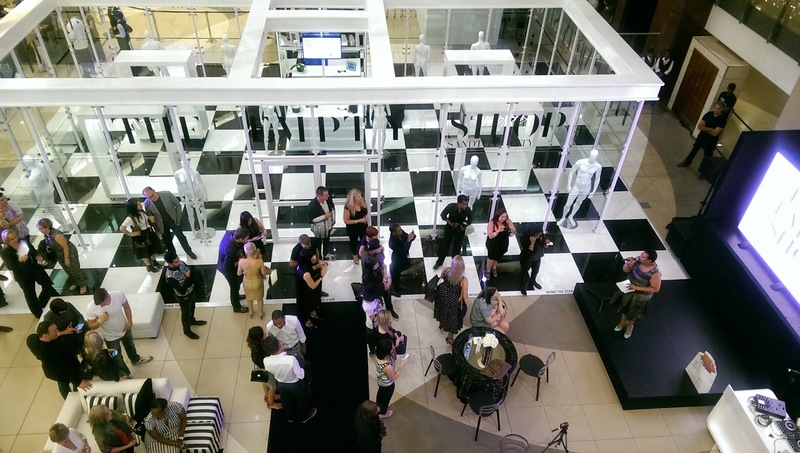 This ingenious fashion and charity store will be open in Sandton City’s Checkers Court daily from 9am to 7pm Monday to Thursday, 9am to 8pm Friday, and 9am to 6pm Saturday and Sunday. All clothing contributions will go to Sandton City’s selected charity for 2014, HospiceWits. “We urge South Africans to embrace The Empty Shop campaign - remember that your previously loved clothing can change someone else’s life,” says Joy Ruwodo, HospiceWits’s Marketing Manager. So don't forgot to clear your closet and almirahs for all the old clothes that you think you need or will wear them one day. That one day will never come and you won't wear your old clothes as you continue to buy new ones. Donate these at #TheEmptyShop and give some breath to your closets. The festival of lights is the time when we find ourselves deep into the desserts and sweets. It's the time to celebrate the best things of life in terms of food, clothes and jewellery. For me it was the time to celebrate with Zomato in their Foodie Meetup at Walnut Grove in Sandton City, food court. The place is simply amazing and has an increasing fan following because of their commitment to quality and they simply make your time at the restaurant enjoyable. Walnut Grove is being run by Elle Ruschioni and her brother Fotis Drakopoulos. It was started by their parents in 1975 and ever since the food has become more tastier and healthier year after year. Here is Elle with Zomato's Heino Gehle. The setup and decor of the restaurant is awesomely beautiful and this is the chandelier representing their strong belief in great food brings great moments in your life which keeps shining throughout your life in your memories and that's what you cherish. I never thought or saw the place in all my previous visits to Sandton City but now after spending some timer there and eating some of their vegetarian delicacies I want to go there again and again. Walnut Grove specializes in cakes, cookies, coffee, tea, milk shakes, smoothies along with various other food items. Every item they make or bake is special. Once you have tasted their stuff, you will forget all the other bakeries in town. The first photograph shows variety of Micro Wraps with Hummus, grilled halloumi, polenta crumed feta, olives and avocado; Quinoa with crumbed feta, roast butternut, mixed greens and beetroot relish. This is my vegetarian board containing Fried Vegetables Lemon Zest Basket, Rustic African Nachos, Paneer Cashew Saffron Curry, Herbed Mushroom Red Velvet Burger. Every food items that was served was extremely delicious and tasty to eat. By the time desserts came I was so full that I could not take more than a bite of each of them. Here is the Trip of Gourmet Milkshake Shots, Summer Macaroon selection and Red Velvet Cupcake. Desserts are so nice and tempting that I should have left main course and start from there only.A special Mascarpone Spoon with Coffee Caviar really was an experience of lifetime. The departing gift from the Walnut Grove was this out of the world Rainbow Cake to keep your family and friends hooked to this restaurant. It not only looked awesome but tasted divine. Even if you don't have time to visit and sit at the place, go and buy a slice of this cake. This is the best I have ever eaten in my life till now. In all of my self obsession with vegetarian food, I completely forgot to take even a single snap of Non-vegetarian food that was served. It’s summer time which means healthy living, outdoor activities and easy meals. The revolutionary NutriBullet extractor is the ideal companion for enhancing your wellbeing not just over the holiday season, but every day. 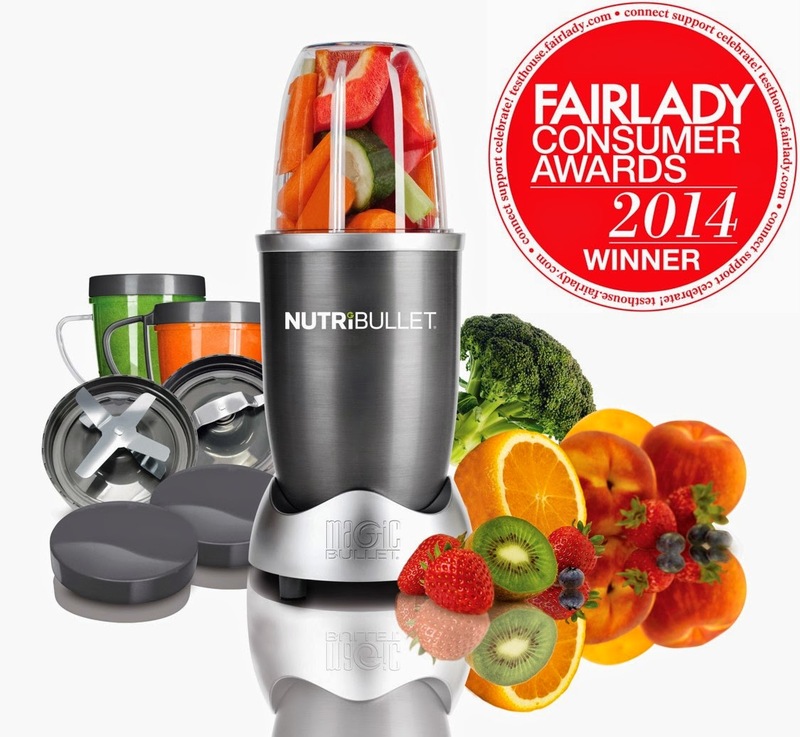 NutriBullet extractor has just won a coveted Fairlady Consumer Award because of its revolutionary, easy-to-use and ultra-effective design along with being a great kitchen appliance which is changing the way health-conscious people eat. 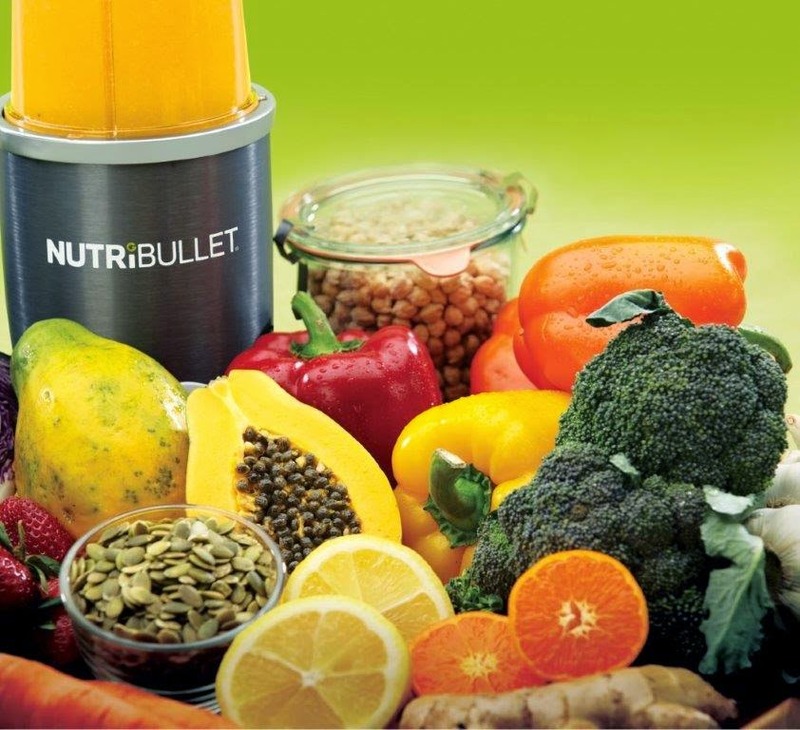 Unlike everyday juicers and blenders that remove all the fibrous pulp from fruits and trap the best vegetable chunks in their blades, the NutriBullet is a superfood nutrition extractor. It completely breaks down raw ingredients to their most nutritious, most absorptive state – in just 30 seconds. The prestigious Fairlady Consumer Awards recognize the best household goods of the year – and serve as a valuable guide to consumers who want more bang for their buck. Ranked according to both efficacy and price, the products are rigorously tested by a panel of respected judges. 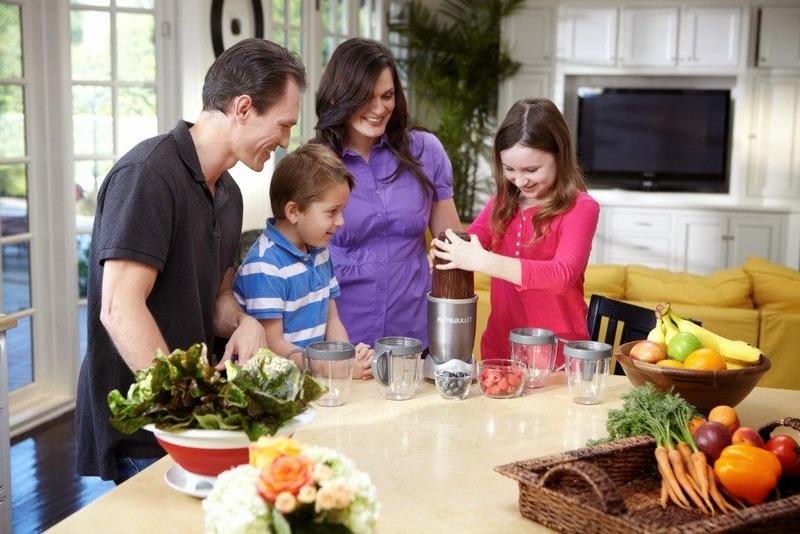 NutriBullet emerged as the clear winner in the Best Small Electrical Appliance (Handheld and Countertop) category. 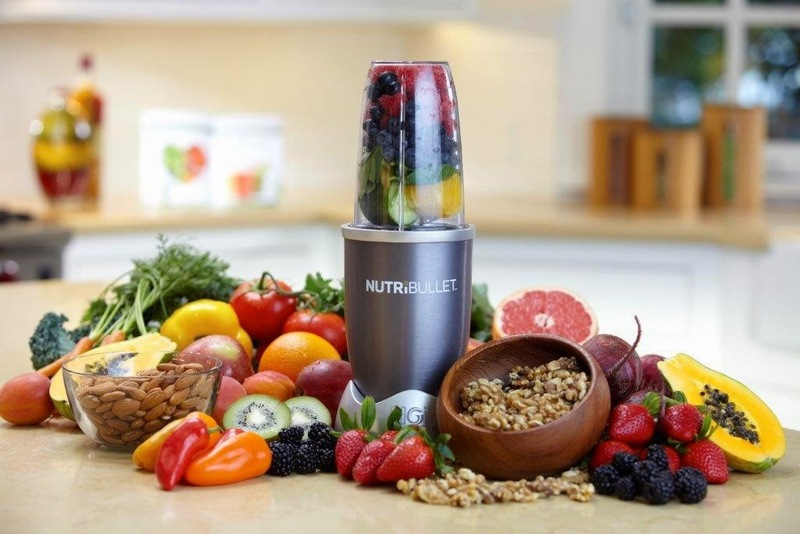 Local A-List celebrities such as style maven Bonang ‘B’ Matheba, radio personality Poppy Ntshongwana and rugby stars Pierre Spies and Jan Serfontein, have also discovered the winning NutriBullet revolution. Perhaps it’s time you do too… After all, being healthy doesn’t mean being boring! You can choose from hundreds of innovative and simple recipes, including energy drinks, breakfast smoothies, snacks, daily diets and even morning remedies after a big night out. The list of easy blends grows daily as converts submit their tasty creations online. Find them at www.NutriBullet.co.za/recipes. With its 600-watt electric motor, the NutriBullet makes it super-quick to boost your nutrition intake. The patented stainless steel blades and unique cyclonic blending action shred, crack, grind and break down tough seeds, stems and skins from unprocessed food. The end result is a raw, smooth, health-packed superdrink that offers you the vitamins and nutrients the way nature intended. It’s so simple to use. It looks costly at first thought when you compare it with your hand blenders from thousands of other brands but the price is right if you care about getting the highest level of nutrition from your food. It is indeed a revolutionary product which you can carry on your trips this summer and stay healthy. Microsoft has launched Lumia 730 Dual SIM, exclusively with consumer champion, Cell C. The device will be available soon at Cell C stores countrywide for just R229 per month on a SmartChat 1GB contract. The recommended cash retail price is R4499. The Lumia 730 combines slim, compact design with powerful performance creating an uncompromised smartphone experience. Alongside dual SIM support, the Lumia 730 provides outstanding personalisation with the latest version of Windows Phone 8.1 along with Lumia Denim. The phone is very light weight and comes in matte and glossy back covers. I really loved the Green Matte back cover. Lumia 730 has it’s first wide angle, 5MP front facing camera, enabling people to easily capture and share more of what they want - #LoveThySelfie. The front facing camera means a great experience when making Skype video calls, and consumers that purchase their Lumia 730 this year will also get the benefit of three months of free Skype calls to landlines around the world. The powerful front facing camera also takes unbeatable selfies in full 5MP resolution, with videos recorded in 1080p. These can be shared quickly and easily via social networks like Facebook and Instagram. With a focal length of 24mm, the Lumia 730's front facing camera captures more of the scene, ensuring people are never cut out of the group. A powerful Qualcomm Snapdragon 400 processor, featuring a quad core CPU at 1.2GHz, means a fast and smooth user experience. The 2220 mAh battery keeps you going for a full day, and the 4.7 inch HD OLED display has a viewing angle of almost 180 degrees, making it possible to watch your favourite videos even in bright sunlight. Microsoft services such as Outlook, Word, Excel, OneNote and PowerPoint bring a great mobile productivity experience, and 15GB of OneDrive cloud storage allow you to sync, store, access and share content online. Additionally, you can access a world of apps through the Windows Store, with favourites like Instagram, Adidas miCoach, Vimeo, Uber and Flipboard. The best thing I likes it the removable covers to replace it with your favourite colour and also you can change the batteries. Wireless charging has been taken off from Lumia 730 as compared to 720. Also the rear camera of 6.7 MP remains the same across both devices. Dual sim can be controlled via the settings and notifications will enable you to stay in touch always. The Lumia 730 will be available locally in dark grey. Consumers purchasing the devices from mid-November at selected stores will receive a free Xbox 360 with games. This offer is limited to the first 250 customers. Summer is the most enjoyable time in some countries and we all want to go out & enjoy ourselves with our loved ones in different tourist destinations. Even if we are not going anywhere we do a lot of Braai and get together to bring all the fun home. Savanna is one brand which definitely brings a lot of summer action to those who enjoy the real taste of Cider. Here’s some good news for all the summer lovers out there. It’s a new, ultra-refreshing Limited Edition Savanna Dry Angry Lemon – available for this summer only. With a refreshing splash of zesty lemon, you’ll want to join the #QuestForZest and try it while you can. Bringing you the quirky side of dry, new Savanna Dry Limited Edition Angry Lemon is a proudly South African, all natural premium cider with an added splash of lemon and an ever-so-dry attitude. A new cider innovation, Savanna Dry Angry Lemon is a great choice. It’s the same familiar crisp, dry cider we all know and love, but with an added twist of lemon for a distinctively fresh taste. Stay refreshed all summer with Savanna’s Limited Edition Angry Lemon and visit your nearest liquor store or favorite watering hole. For more information visit www.savanna.co.za, be part of the action on www.facebook.com/savannacider or join the conversation on Twitter @SavannaCider #QuestForZest and #AngryLemon. 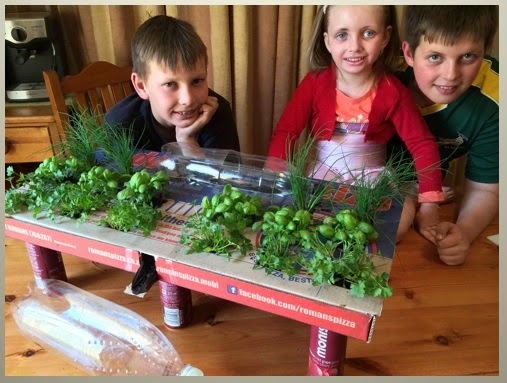 Investing in education is the key to social upliftment in South Africa, and what better way to do it than with pizza, a firm favorite with children everywhere? 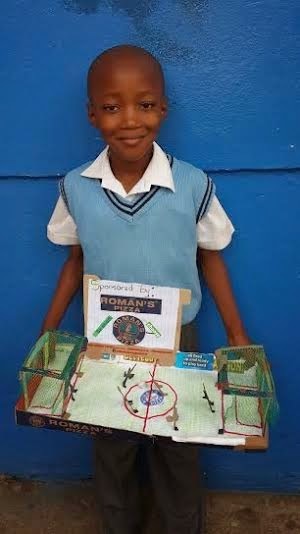 Roman’sPizza is offering school children a chance to explore their creative sides and win fabulous prizes for themselves and their schools – and all they have to do is dig in to a mouth-watering Roman’s Pizza between now and the end of November. I tried Roman's Pizza last weekend and really loved Veggie Pizza as I simply adore thick crust pizza. The Scholar-Box competition is as hot and fresh as the flavors found at Roman’s Pizza. Any child or young adult attending school up to the age of 18 can enter, by purchasing and enjoying a large pizza and then creating an original artwork out of the box or boxes. The sky is the limit and the competition encourages entrants to use their imagination and make a pizza box masterpiece. The prizes are enough to make any school-goer hungry for the top spot: First prize is a PS4, a R500 Musica Voucher, a Roman’s Pizza goody bag and pizza for their entire class. Most importantly, a whopping R20000 donation to the winner’s school to be used to develop or upgrade their sports facility. The second and third prizes are just as generous, again giving out a PS4, R500 Musica Voucher and delicious pizza for the class, but with R15 000 and R10 000 for the schools respectively. Even those who don’t win are left smiling, with 20 consolation prizes of a goody bag up for grabs. Entry into the competition is as easy as buying at least one large pizza from Roman’s Pizza and tucking in. Then, children can set to work having fun and piecing together their box art. Once completed, young artists should snap a picture of their creation and upload it to the Roman’s Pizza Facebook page or email it to social@romanspizza.com before the 30th of November 2014. The photo should be accompanied by the following details: name, school, age, area and contact details. 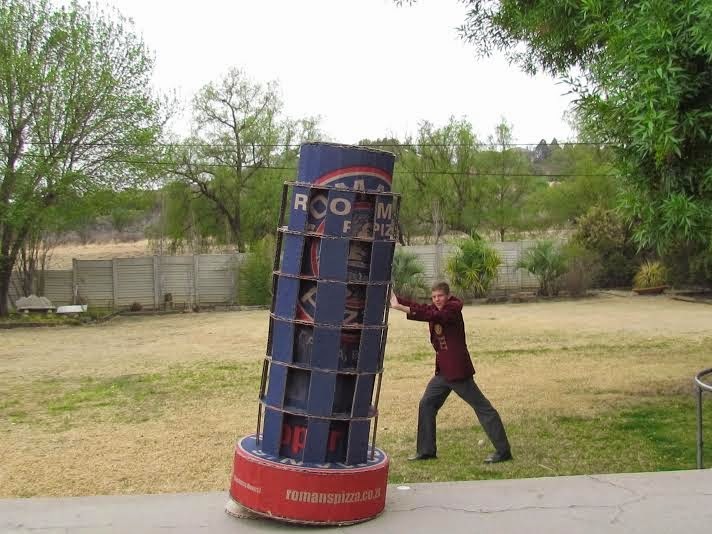 For more information go to https://www.facebook.com/RomansPizza or visit http://www.romanspizza.co.za/ to find a Roman’s Pizza outlet nearby. If you think you can do it, go for it! Even if you think you can't do it - at least try.You will learn a lot in the process and you got to eat Pizza. :-) Also see some of the entries in the photographs attached, there is no limit to your creative powers. You too can make amazing stuff. Dust off the dirndl and lederhosen, serve up some würst and sip on some foamy bier—it's Oktoberfest time again! 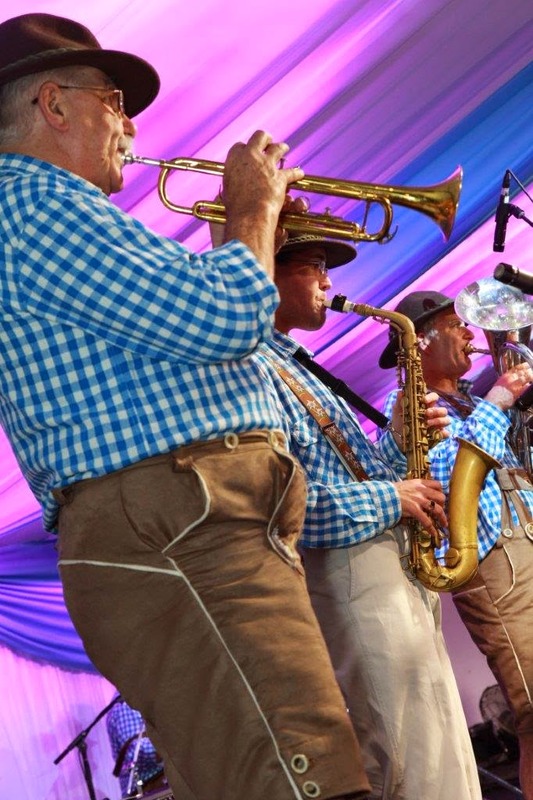 Although the 16-day Munich festival began on September 20, the celebration is just getting started in Joburg, as Bierfest has returned to Montecasino for two weekends, 17th – 19th October & 24th-26th October. One weekend has already passed and this is the last one to be there and enjoy!!! 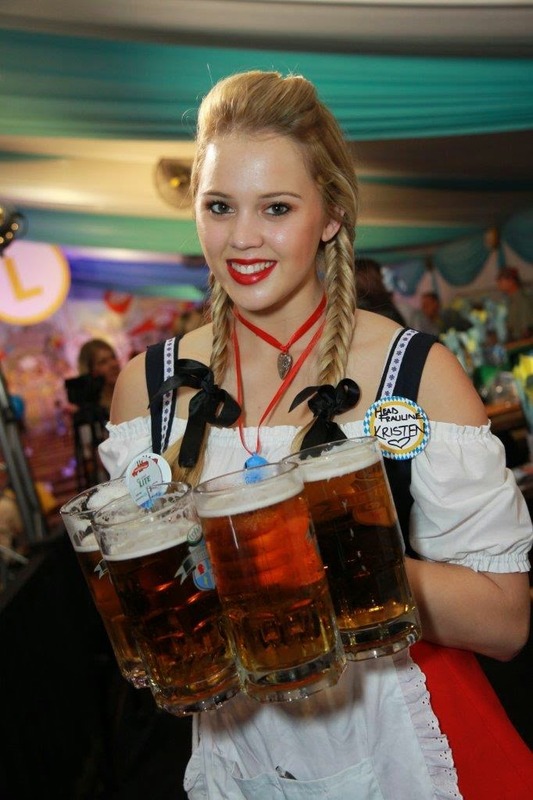 TOPS at SPAR BIERFEST is South Africa’s biggest, annual, national, Oktoberfest festival of fun, food, Frauleins and of course –biers! This event happens in association with DRYVER, Good Fellas, JIGUJA, Jagermeister, Associated Printing and Tsogo Sun. 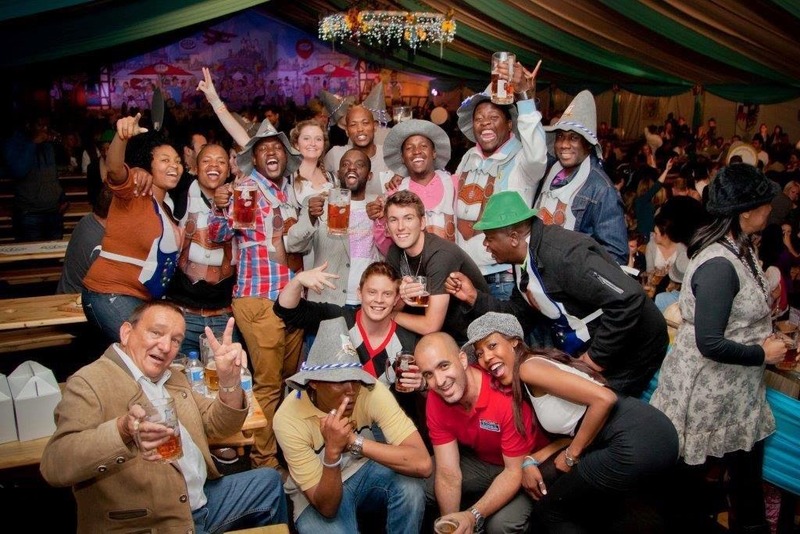 It is more than just an excuse to get together in a 4000-seater Brauhaus over a weekend at Montecasino with your nearest and dearest to imbibe quality, specially -crafted Bavarian biers! It’s also a feast of fine Bavarian cuisine, an opportunity to dress-up in lederhosen, pigtails and dirndls, its dancing to the ridiculously infectious oompah beats and letting loose while singing “Heidi!” at the top of your lungs. Historical significance of this is a 204-year old tradition that began in Munich, Germany. History has it that when Bavarian Crown Prince Ludwig married Therese of Saxe-Hildburghausen on October 12, 1810, he invited the entire city of Munich to what eventually became the world’s biggest after-party. From the moment one enters the Brauhaus, the senses are assailed by a rich mixture of traditional Bavarian oompah music (played live by a seven-piece band throughout the day), beautifully coloured décor, the aroma of Bavarian cuisine and of course - our freshly brewed Biers – made but once a year for the occassion. Founding partner South African Breweries have once more called upon their Master Brewers to craft three special, limited edition Bavarian-styled biers just for Bierfest. The ever-popular Royal Bavaria Oktoberfest Bier, the traditional Krystal Weiss Protea Edelweiss and the specialty dark ale - the King Ludwig Munich Dunkel. Master Brewers will be located onsite for tasting and bier education at Bierfest’s Braumeister Ecke (a.k.a Brewmasters’ Corner). 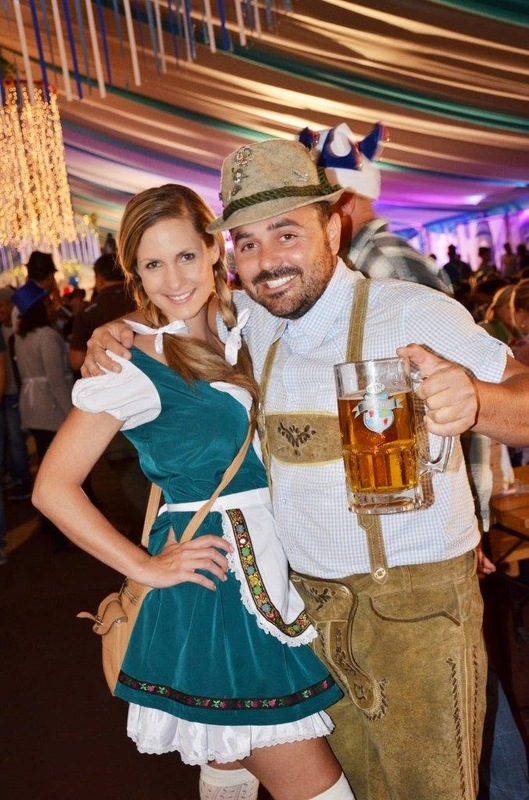 Frauleins in traditional attire will greet you with smiles as you are escorted to your table and thereafter ensuring that your Bierfest experience is nothing short of magical. More than just a beer festival, Bierfest places great care and consideration in its meal choices for hungry Bierfestarians! Bierfest menu caters to all tastes, from the succulent eisbeins to healthy vegetarian options and delectable platters. A smorgasbord of traditional Oktoberfest challenges will be on offer to test your strength and skill. A new feature is the “snuff kanon!” This device with its medieval origins does exactly what its name suggest – it is a cannon that shoots snuff. 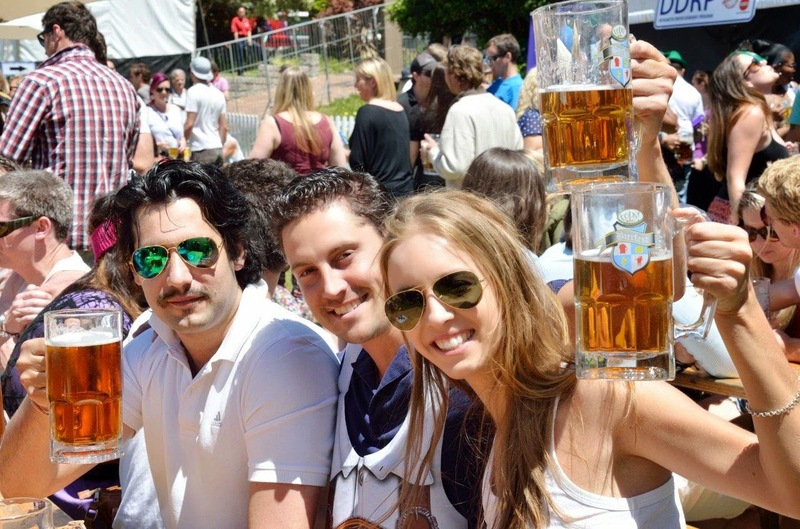 From the moment you are seated until the moment your tired legs take you home, Bierfest is the one event you will attend this year that will have you longing to be back next year too! 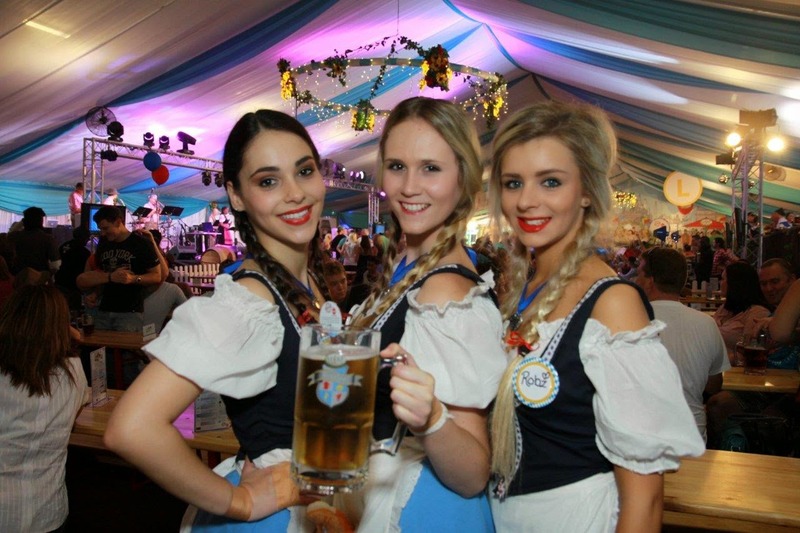 Value for money, and every moment an entertainment extravaganza, Bierfest will rock you! Standard Bier Hall Ticket: only R125 per person includes entrance to the event, along with a complimentary bier tasting. 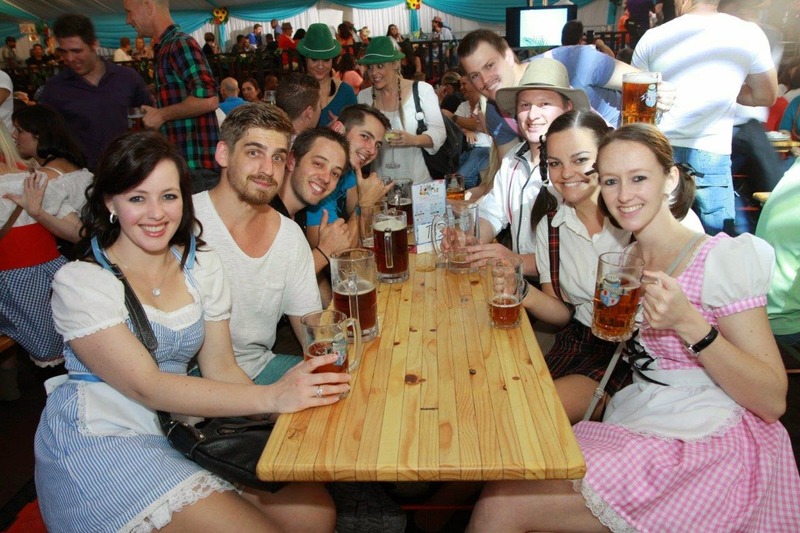 All tickets can be booked through the Bierfest website www.bierfest.co.za or through Bierfest’s Facebook page - SABierfest. www.thelifesway.com has been offered to give 4 double tickets to it's readers for any day between 24-26th Oct 2014 in Montecasino (conditions apply). Contest ends 24 Oct Friday at 0200pm. 3. Leave comments - Why do you want to join Bierfest in MonteCasino this year and when did you first came to know about Bierfest? Kindly mention your email id & twitter handles to contact the winners. 4. Who will be driving you home after drinking at Bierfest or will you hire #DrinkSmart cabs? The winners will be sent online tickets on their email id's mentioned by Fri 24 Oct. The ARA #DrinkSmart Program presented by Redline and spearheaded by TOPS at SPAR’s groundbreaking mobile phone app DRYVER, with support from Good Fellas, Uber, Redline Breathalysers and JIGUJA detox drink, #DrinkSmart provides Bierfest patrons with a range of safe and affordable choices to drink responsibly and get home safely. Visit www.bierfest.co.za/noregrets for more info. Note - All the photographs are from the last year's event and clicked by Bierfest's hired professional photographers.